Fact #1: Heart disease kills more than 600,000 Americans every year. Heart disease continues to be the leading cause of death for Americans. Thankfully, heart disease is often preventable and can be treated by making healthier lifestyle choices. Fact #2: Chest discomfort or a heart attack is the first sign of heart disease. Heart attack symptoms often include discomfort in the center of the chest that may last for a few minutes or comes and goes. It can feel like squeezing, uncomfortable pressure, fullness, or pain. Shortness of breath, breaking out in a cold sweat, lightheadedness, and nausea are also heart attack symptoms. Fact #3: Some people are born with heart disease. A congenital heart defect starts at birth. Doctors are still puzzled as to why a baby might have a congenital heart defect, though it tends to be hereditary. Most of these heart disease issues include leaky valves or structural issues like holes in the heart. Fact #4: Unhealthy habits contribute to heart disease. Not getting enough exercise, unhealthy eating, and smoking increase your chance of developing heart disease. Additionally, high blood pressure, diabetes, and high cholesterol are other factors that can increase your risk. Speak with your doctor about prevention measures. Fact #5: Time is of the essence when someone is having a heart attack. Heart attack victims can have sudden loss of responsiveness or may be unable to breathe normally. Loss of oxygen to the brain and heart can cause permanent damage, so calling 9-1-1 immediately is critical. EMS staff can start treatment upon arrival, often up to an hour sooner than if you drove yourself to the hospital. Fact #6: Women have the less typical heart attack signs. According to Mayo Clinic, women are somewhat more likely than men to experience less common symptoms and signs, like neck or jaw pain prior to having a heart attack. Fact #7: The most common heart disease is coronary artery disease. This disease develops when your major blood vessels that supply the heart with blood, nutrients, and oxygen become diseased or damaged. Plaque build-up in your arteries, which causes inflammation, often leads to coronary artery disease. This build-up happens over a number of years and most people don't notice a problem until they have a heart attack or large blockage in the arteries that requires surgery. 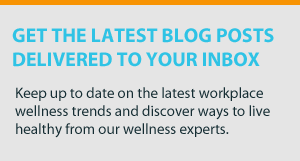 Take the month of love to promote heart healthy activities and information among your employees. Anything to spread the word is a good thing — from sharing heart health facts to hosting fundraisers to raise heart disease awareness. Even a little informational comedy clip goes a long way in helping folks remember heart attack symptoms. Raising awareness about the serious dangers of heart disease can help your employees reduce their chances of letting the life-changing event of a heart attack impact them. There are so many ways to spread the word: on your social media accounts, sharing these facts in your monthly newsletter, or even promoting the American Heart Association website. The list is endless, but sharing the information is priceless. So, spread the love and hit share. You never know who may need to hear about the importance of heart health this month. 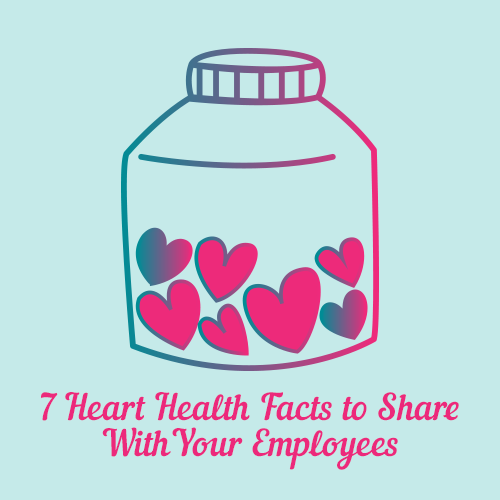 How will you show your employees the love during American Heart Month? Share in the comments below!